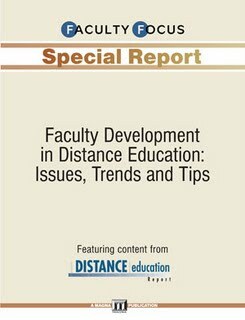 DePaul University has started a new collective blog – DeBlogs. DeBlogs is a collection of students, faculty and staff blogging about their experience as part of the DePaul community. 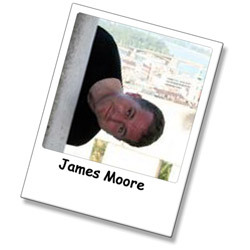 Each blogger has their own page – you can follow individual blogs, or all the blogs. You will see this site grow, with new features and guest bloggers. David O. Justice died in September of 2008. The world is improved by his questions and humor. He knew what to ask for, and how to ask it. For some years he was my boss. He continued to be a friend. 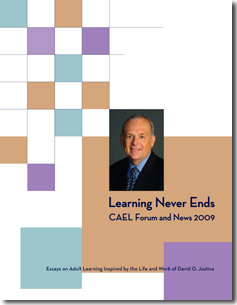 CAEL (Council for Adult and Experiential Learning) has just published a series of essays on adult learning, inspired by the life and work of David. Some of my comments appear in a collaborative essay, expertly facilitated by Morry Fiddler. I think the series of essays work well in reminding us all of who David was. I hope they introduce him to a new audience. Learning never ends. The next Technology Tuesday presentation will cover Google Wave - more information (and RSVP) can be found here. Jim Janossy has created a series of 15 video tutorials for Blackboard. 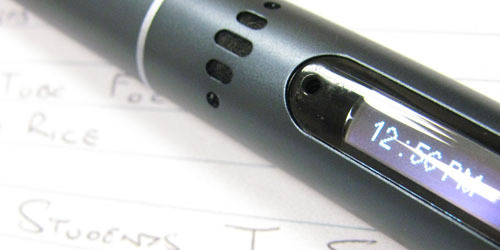 Each video is accompanied by a study-guide in PDF format. You can view the videos on Jim’s website at DePaul. What is "cloud computing" and "on-demand CRM"? What role do they play with sales and marketing? What effect is Salesforce.com having in the marketplace, and why is it transforming so many businesses? Join us on Wednesday, November 11th, as we explore cloud computing and its effect on the current practice of CRM. We'll explain how on-demand CRM - and better distribution of customer information - is changing the practice of sales and marketing as we know it. Finally, we'll probe Sales 2.0, show how on-demand CRM supports the integration of sales and marketing, and then pull it all together with a case study demonstrating the impact of Salesforce.com. Kevin Turner, Principal, Model Metrics (one of the nation's leading Salesforce.com partners). Garrett Grenz from the Office of International Students and Scholars is organizing a panel of faculty, staff, and students to discuss problems and strategies. This will be an interactive and informative session.